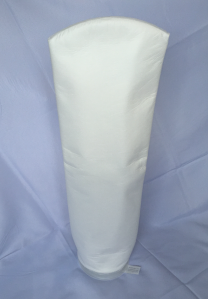 HL Extended Life filter bag provides superior filtration performance for removing gels, irregular shaped particles in liquid streams with a wide particle size distribution, as well as up to twice the dirt holding capacity of a standard filter bag. The bag is made of extended-file polyester and polypropylene materials utilizing a proprietary fiber blend configuration to create a media that is heavier, thicker and stronger than standard felt media, resulting in an average operational life of 2 to 4 times longer than conventional bags. The result is a dramatically higher dirt holding capacity at the same efficiency and differential pressure.